Nestled in a unique position within a secure gated development, this spacious two double bedroom UPPER FLOOR apartment offers modern and low maintenance living accommodation within an executive location and having the added benefit of direct use of the exclusive and beautiful Grounds. Nestled in a unique corner position within a secure gated development, this spacious two bedroom UPPER FLOOR apartment offers modern and low maintenance living accommodation within an executive location and having the added benefit of direct use of the exclusive and beautiful Grounds accompanying Norton Hall. Ready to move straight into, this property offers well-appointed accommodation briefly comprising: Secure communal entrance and Hallway with a lift to the upper levels, reception hallway, kitchen, open-plan living and dining room with French doors allowing for an abundance of natural light, master bedroom with fitted sliding door wardrobes and en-suite shower room, second double bedroom and main bathroom. Externally, secure allocated parking is provided behind electric gates and uninterrupted access is assured to the decedent and manicured lawns, terraces and lakes of Norton Hall with its charismatic walled gardens and tennis courts. Attractively positioned off Norton's iconic Village Green; offering the delights of the area's most highly acclaimed amenities to its tree-lined High Street all within a pleasant stroll. 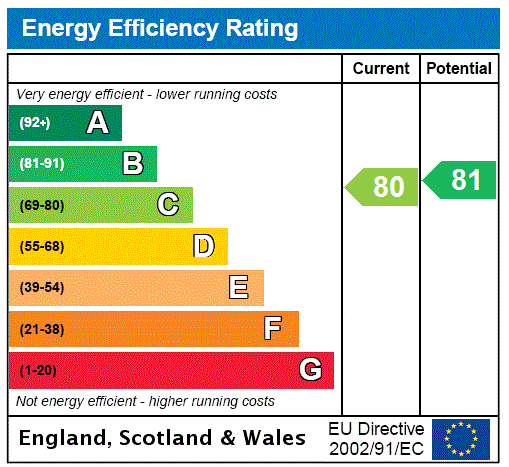 EPC Energy Performance certificate is on order.